The host was very nice and walked with us to the cave interpretive centre which was nearby. The fans in the rooms kept us cool. The air conditioning in the living room was great. We used the washing machine a lot and our clothes was dry overnight. Close to a supermarket and drugstore. Good location, we found the road easily. 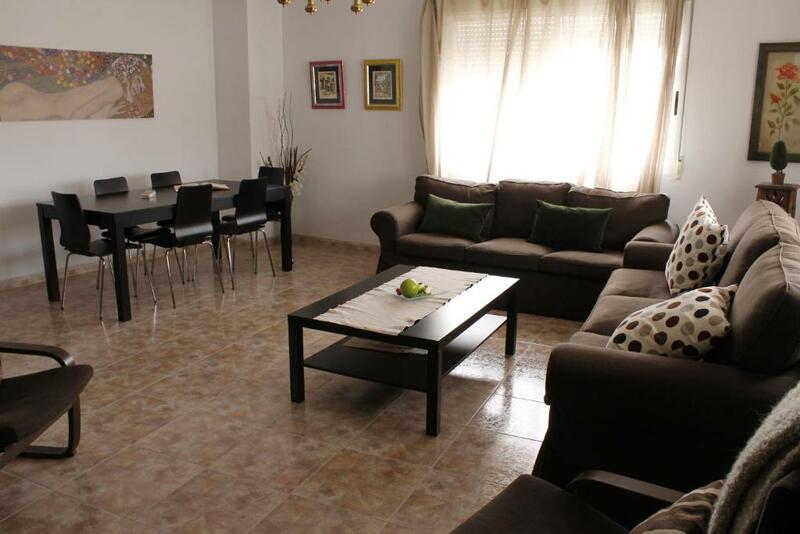 A quiet location, an easy 20 min walk to town. Parking was in the owners garage and also on street as well. In hindsight, the street might have been easier as a tight squeeze in the garage. Apartment was spotless, lovely facilities, 2 bathrooms ideal for 2 families sharing. The owner was really friendly although didn't speak any English! Comodo, limpio y muy amplio. Una gran atención por parte del dueño que se preocupó porque estuviéramos cómodos en todo momento. Incluso se brindó a acompañarnos al taller por un problema en el coche. 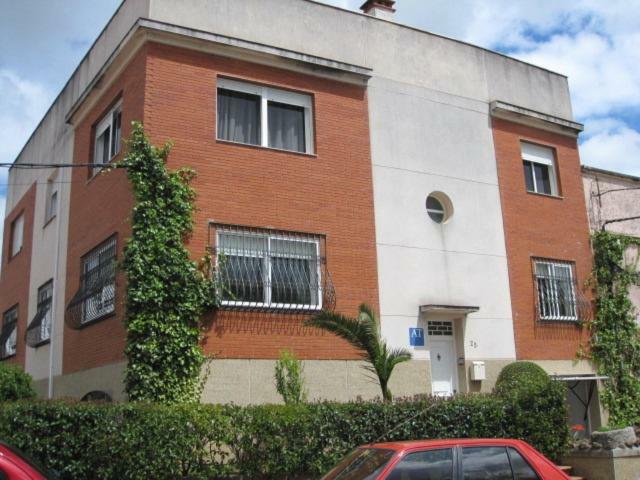 Amabilité du propriétaire Et l'appartement par lui même. facilité de parking. Living et chambres spacieuses. Chauffage central. Квартира очень уюьная. Есть просто все, что нужно для отдыха после экскурсионного дгя. Тостер, парковка, даже напитки в холодильнике. Замечательная кватира, просто как дома! Nos encanto todo, si volviera repetiria sin duda alguna. Los propietarios encantadores y muy serviciales. El apartamento era perfecto, no le falta nada, salon muy amplio, cocina super equipada, las camas comodas y todo muy limpio. Gracias por el servicio. Decir que te encuentras como en casa se queda corto. Nos fuimos con la sensación de que nos dejamos allí a la familia. La casa tiene lo imprescindible y no le falta de nada, muy amplia y cómoda, todo nuevo, en perfectas condiciones. Y sobre todo, el valor añadido de la atención de Julián. Podéis dejaros llevar por sus recomendaciones y acertareis. 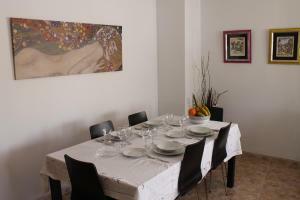 Lock in a great price for Apartamento Turístico La Ribera del Marco – rated 9.1 by recent guests! 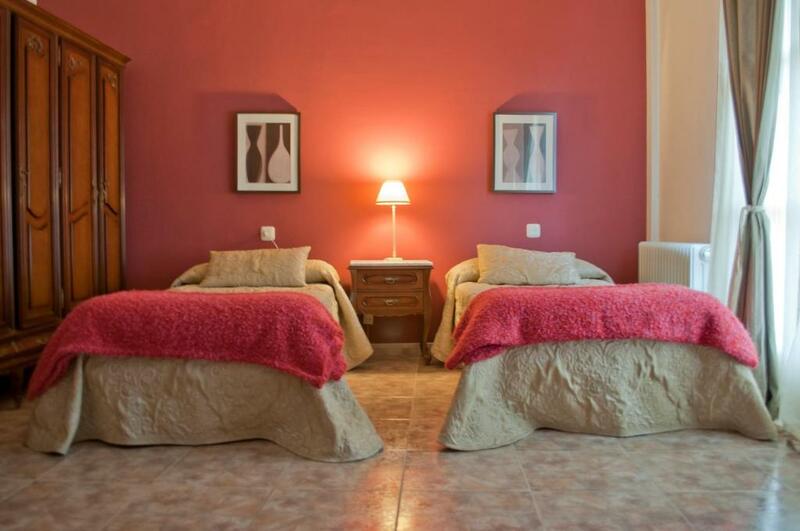 Apartamento Turístico La Ribera del Marco is located in Cáceres. 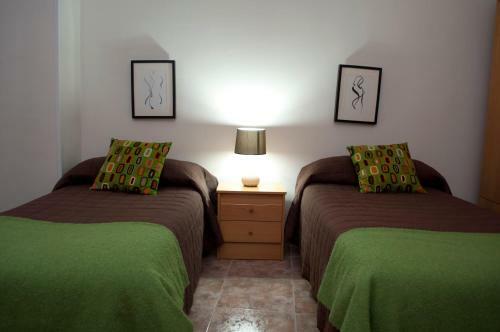 The property is a 10-minute walk from the city center with restaurants and shops. Free Wi-Fi is offered throughout. 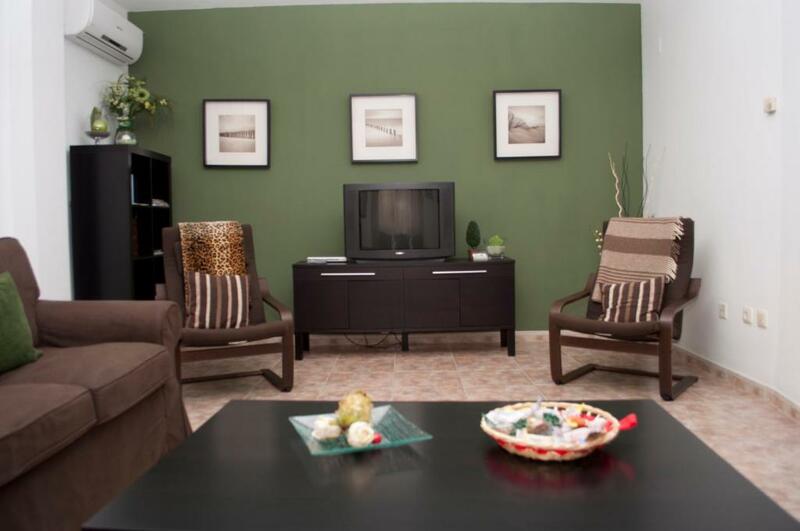 Including marble floors, all air-conditioned apartments feature a seating area with sofa and TV. Each has a kitchen with oven, toaster and coffee machine. There are 2 bathrooms with bath or shower. Apartamento Turístico La Ribera del Marco is 0.6 mi from the Museum of Culture and History and Caceres Train Station. The property is 0.9 mi from Plaza Mayor Caceres and San Juan Church. Talavera La Real Airport is 43 mi away. 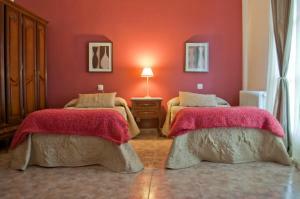 When would you like to stay at Apartamento Turístico La Ribera del Marco? 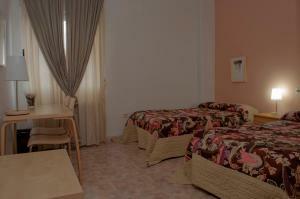 Offering free Wi-Fi, the air-conditioned apartment features a seating area with sofa and TV. The kitchen includes an oven, toaster and coffee machine. There are 2 bathrooms with bath or shower. House Rules Apartamento Turístico La Ribera del Marco takes special requests – add in the next step! Apartamento Turístico La Ribera del Marco accepts these cards and reserves the right to temporarily hold an amount prior to arrival. Please inform Apartamento Turístico La Ribera del Marco of your expected arrival time in advance. You can use the Special Requests box when booking, or contact the property directly using the contact details in your confirmation. We were allergic to the smell of the laundry detergent or softening agent used to wash the linen. It was difficult arranging to get the key as the owner didn't respond to emails as didn't speak any English, however booking.com helped us out. Once in Caceres we were ok as one of our party is doing A level Spanish so could communicate with the owner who was absolutely lovely, especially with our 2 year old!. The apartment has aircon but only in the lounge so the bedrooms were sweltering, despite keeping the curtains and shutters closed all day. It was about 39 degrees outside! But it made sleeping quite tricky!